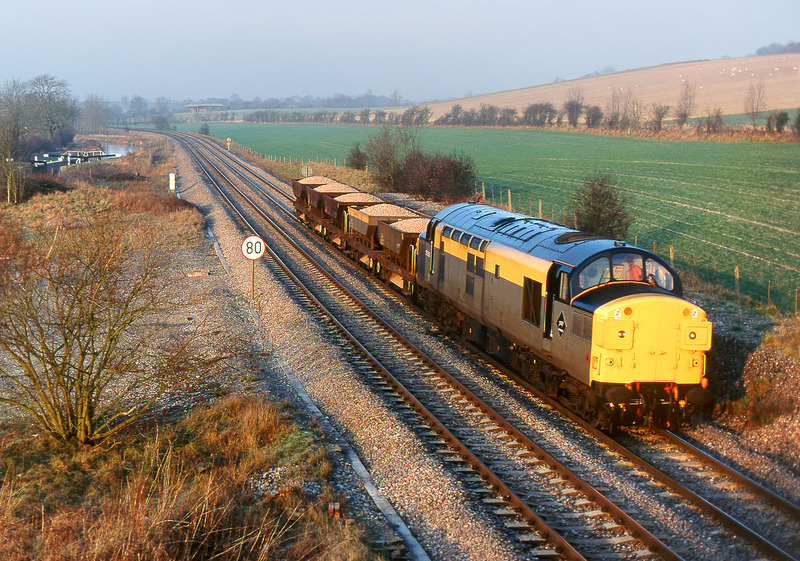 37038 passes Crofton just after sunrise on 15 January 1991 with a featherweight ballast train. Kennet & Avon Canal Lock No. 57 can be seen in the background. The loco had only been in the DCWA Western Region engineer's fleet for a couple of weeks at this time, after previously having been allocated to the metals sector.